Who Is Vulfpeck? Who Is Vulfpeck? It happens that as music evolves, the genres within it often revolve—styles rise and fall like a bass line up and down the frets of popularity. Older people of every generation find themselves surprised when kids enthusiastically “discover” bands from their youth, as if the music were new for the first time. And sometimes, these kids get older and begin to make music of their own, and the results can be fantastically evocative. No band of late captures the essence of this phenomenon quite like Vulfpeck. Born out of a love for classic soul arrangements and a passion for the organic live recordings of Motown and funk, the boys from Ann Arbor who call themselves Vulfpeck continue to find ways to keep their old school niche relevant. Their most recent project and first full-length album, “Thrill of the Arts,” celebrates the cyclical nature of the arts—specifically, the art of the old school jam. 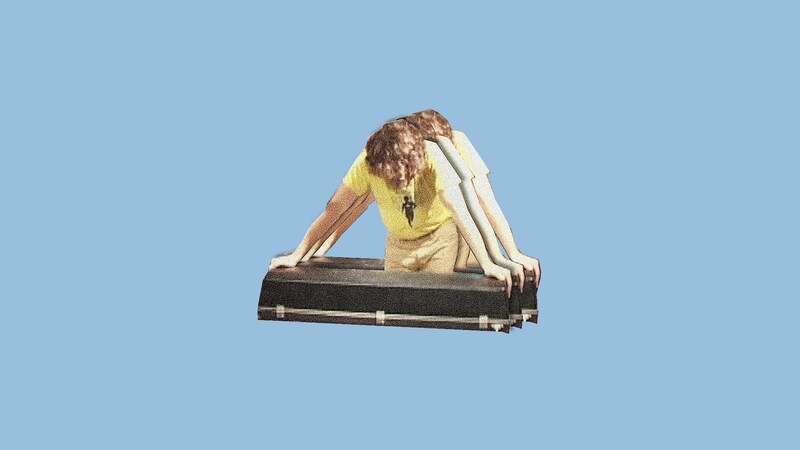 Vulfpeck began as a pet project between musicians in art school training to be professionals. The band first released a monstrous, bass-heavy funk track called “Beastly” on YouTube, in which bassist Joe Dart coaxes fierce Hendrix-esque riffs from the depths of the funkiest rhythm on his four-stringed weapon of choice. Slowly, slowly, the band gained traction through the Internet as people discovered their brand-new old sound, full of guts and groove. Then their Spotify stunt caught fire. As a social media experiment, they released an entirely silent album on the music service, calling it “Sleepify.” The response was overwhelming, and they took the Internet by storm. Donations poured in, and Vulfpeck used the crowd-sourcing scheme to fund a national tour. They raised around $20,000 this way. Eventually, Spotify caught on and they removed the marketing ploy from their service engine. But the die had been cast. 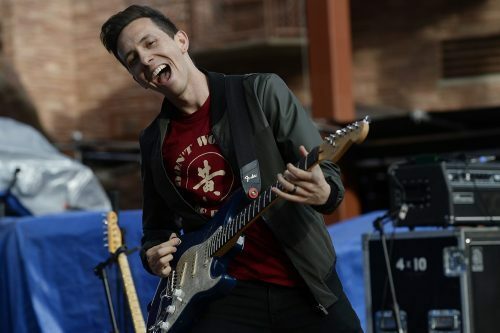 The money and notoriety gave the band a chance to develop their sound, and in 2014 they were able to hit the road for an admission-free tour that was strictly about one thing: the music. Eventually the project expanded from instrumentals into new territory, and Vulfpeck began using the vocal melodies of one Antwaun Stanley, whose Marvin Gaye crackle and Michael Jackson falsettos put a vintage spin on the band’s already vintage groove. With Stanley as their soulful lead vocalist, they released “Thrill of the Arts” in November of this year. The vocal tracks often contain simple lyrics that call back to a more lighthearted time (“Gimme the ball, I’ll hit the game winner,” and “All the children and all the big children, it’s Christmas in LA!”). Their lyrics are fun, straightforward and easy to sing with; in fact, they complement the bold grooves effortlessly. But the best thing about “Thrill of the Arts” may be its arrangements. When the band-members were still college music students, they first began playing together when they all responded to an on-campus posting for a funk/jazz rhythm section. Modeling themselves after arrangement sections like the Muscle Shoals boys, a group that composed many of the most popular hits in American music history, their unique sound is grounded in a focus on live recordings where the tape rolls and everybody jams. Although progressively unusual in this age of technical and synthetic production, it keeps an unprecedented organic integrity to their tracks. Included on “Arts” is a reprise of a song concept “Rango” (II, in this case) that the band has been jamming/rerecording for a few EP’s now. Each new version of the song brings a different instrument to the forefront, and this time it’s a jazz guitar solo that is as adventurous as it is smooth. And the fun lasts all ten tracks. Arguably their most popular song from the album, a single called “Christmas In LA,” is quite easily the freshest “West Coast” Christmas carol that has ever been so funky. “Back Pocket,” the album’s second track, leaps out of the speaker at you with a frantic keyboard melody that would make Stevie Wonder beam with pride. “Conscious Club” is an absolute monster chromatic progression; the percussion alone is liable to steer you headfirst into a funky jungle. “Smile Meditation,” a driving jazz flute/blues guitar composition, rounds out the tracks on the album in a steady five minutes of emotional harmony that would fit in at a dance club, elevator or college party. The album ends with a dialogue track called “Guided Smile Meditation,” in which a dismembered voice tells us the way to peace of mind/body while gently accentuating his monologue with sounds from a keyboard synthesizer. If there ever was a thrill for the arts, Vulfpeck has more to offer this enthusiasm than much of today’s popular music. It would seem as if they’ve found a way to combine old school funk with new school, tech-savvy entrepreneurship. After playing Colbert and releasing this album, there’s no question they’ve had a crazy 2015. And if “Thrill of the Arts” is any indication of capabilities, there’s no end in sight for these groovy cats.